November was the month of thanksgiving and a lot of people started to focus on the things they are are thankful for, GREAT! Wouldn’t it be awesome if we could continue this routine outside of November? What if we started appreciating the joy in every day? Heck even on the worst of days we can find something to be thankful for even if it’s ‘I’m thankful I didn’t have 1 more thing go wrong today.’ How about all the normal days that your kids are cooperative and you get things done, or you magically found a pen in your purse, or your daily must do’s (not the extras just the MUST do’s) actually got done! When we take these everyday things for granted its easy to focus on the bad things. When we focus on how much goes right in our days the temper-tantrums and flat tires become and inconvenience of a good life. When we focus on the bad things they are just another thing that went wrong in a terrible life. Focusing on the negative can also lead us to dwelling in the past its the ‘this always happens to me” mentality. This leads to pity parties and a general negative outlook. Its a cycle that is hard to break and one I’ve been stuck in myself a time or two. So what happens if you can’t see the joy in your day? Fake it! Yep I mean it, I used to think self-affirmations were a bunch of hooey, yep you heard me hooey (There is an old lady trapped in my body.) Turns out if you give them a chance there is something to them. 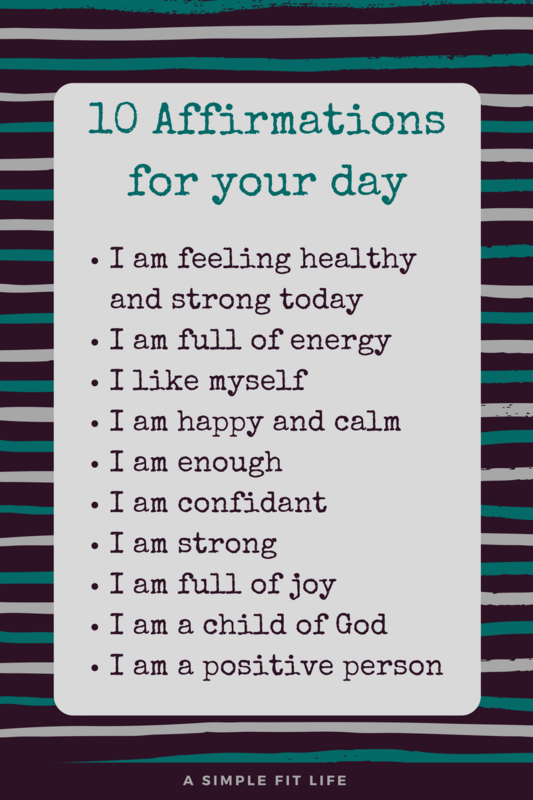 Pick a self affirmation and say it to yourself a few times in a row a few times per day, you will notice it start to sink in after a while. Here are some to start you off.